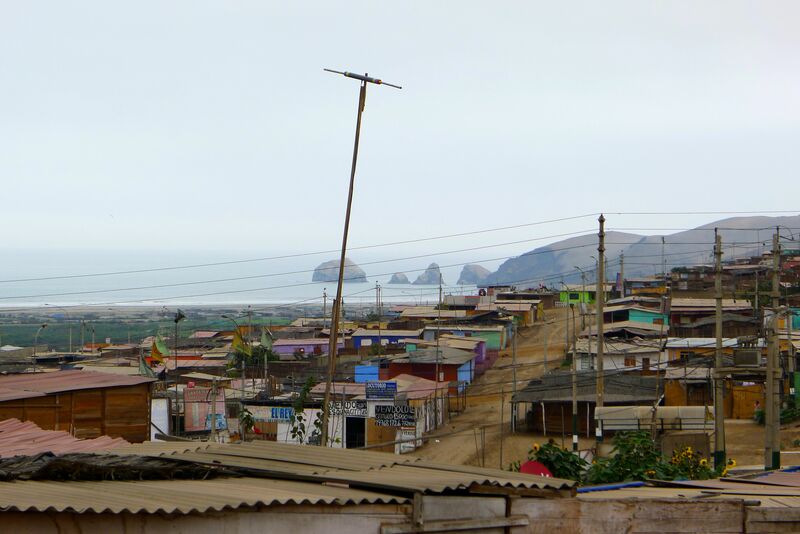 ← Scraping the clouds – our highest church in Peru. Last week I visited in Pachacutec, Ventanilla with Dr. Townsend Cooper, his wife Dawn and nurse Fany. We were accompanied by a U.S. team from MedSend. MedSend is a Christian group that gives financial help and cover the repayment of education loans for missionary doctors in the field. 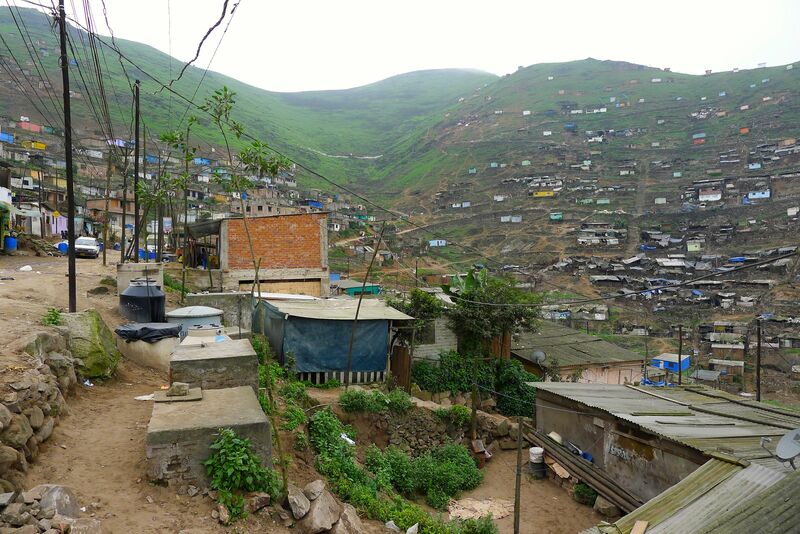 Pachacutec is a shantytown out at the end of any roads and was formed about eight years ago. Pachacutec – the end of the road, literally! In Ventanilla we had a clinic for children. We expected fifteen and saw forty. 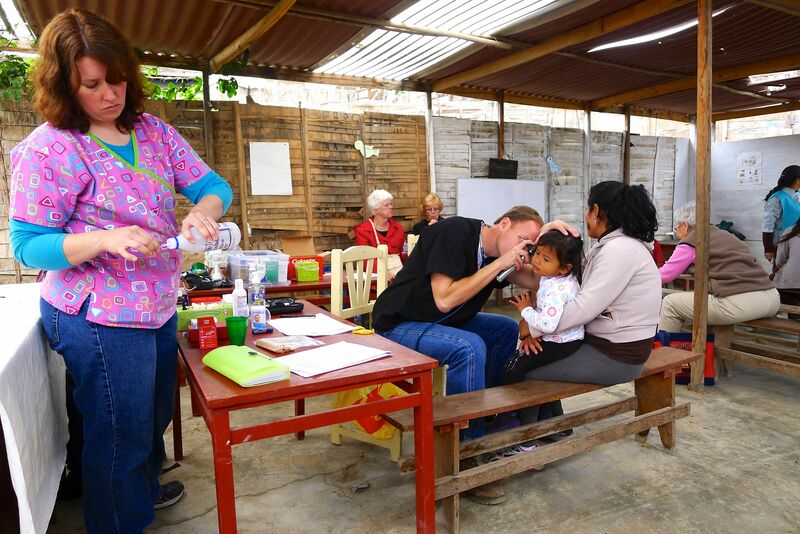 The clinic was set up in our mission there – San Patricio. San Patricio and its mission/house church, San Marcos, are overseen by Fr. Jaime Siancas and Deacon David Rodriguez. Their devotion and commitment have made this a lively center of mission. The medical ministry there is part of the concept of total ministry or Integrated Mission that is the hallmark of the Anglican Church in Peru. Fr. 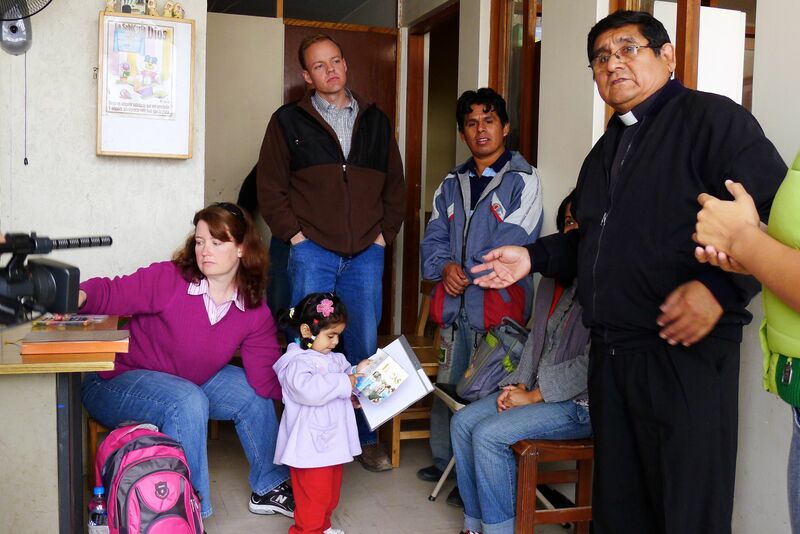 Jaime had asked the bishop to be posted to the poorest of the poor – here he is! The next day we visited Villa el Salvador – our furthest south mission which has been established with a church building for several years. The Priest in Charge is Fr. 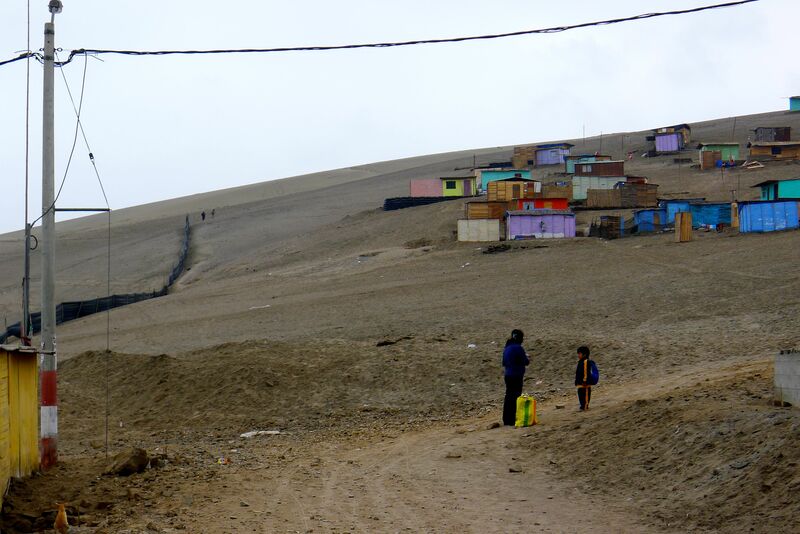 Carlos Quispe who also heads up our social outreach programs through our NGO, Communion Peru. It is our hope to use the church, Jesus el Salvador, as a health outreach center by training some select workers in how to teach healthy living. To do this effectively, we need a place that has facilities, water and sewage. We tend so easily to take this all for granted but here in Lima and most parts of Peru these are often not present. At the Jesus el Salvador we met a family where the two-year old daughter had been thought to be autistic. In Peru she would be simply sidelined all her life. Thankfully Townsend in fact diagnosed her as deaf. We are now working with a local ex-pat whose business is hearing aids. It was amazing – he turned up at the cathedral one Sunday and we got to talking and I took his card. That next week Townsend spoke to me of the girl, and I was able to put them in touch and we are well on the way to getting hearing aids. Talk about God working things out! 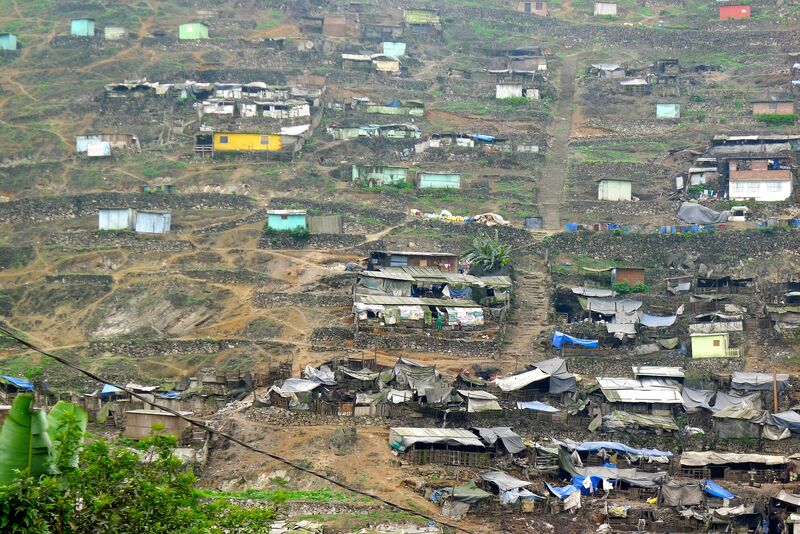 Chancheria – Pigsty – is a shanty town where the homes are mixed in among pigs pens. Next to the area is a huge cemetery where the bodies are interred maybe eighteen inches deep due to the rocks. The dust has interesting components. It is a very poor area and not well served. We have had successful medical campaigns there and our social worker – Erica Montoya does most of the followup. Chancheria showing an unusual feature – green hillside. Only at this time of year does the combination of damp mist and grey skies produce green growth. Most of the year the hillsides are brown and sandy. The MedSend team was very taken by the seamless integration of Gospel and social outreach. We are not compartmentalized in our ministry as we are one Church seeking to minister to the whole person. We seek to bring Jesus to people and people to Jesus. Jesus is in our words as well as in our actions. I have changed the title so as to reflect new information – apologies if you are confused! Amazing Grace. We miss you. I miss you too Lew and all the family up there. We are immersed in the stuff of Christmas including this week our final pantomime performances – uniquely English humor, robust and clothed in a children’s story. This Saturday too we have first Communion. Next week lessons and carols and I get to be a tad older so Polly is holding a party. God is so good.